Thousands of civil society campaigners marched through Durban to protest at a failure of governments within the UN climate talks to make progress on cutting greenhouse gas emissions and providing financing for poor countries to adapt to the consequences of extreme weather conditions. Among them were Caritas staff from Africa, Europe and Latin America, who joined interfaith campaigners calling for a voice at the talks. 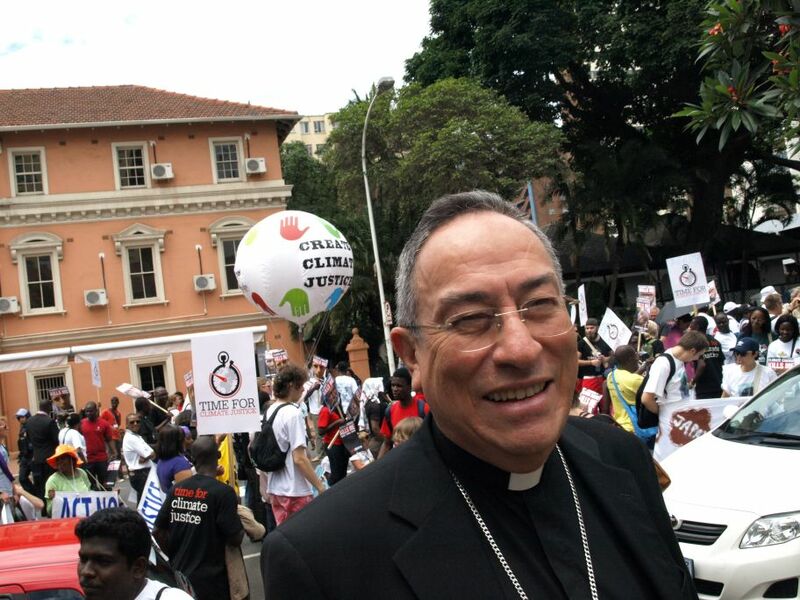 “We are protagonists of our own future,” said Caritas Internationalis President Cardinal Oscar Rodriguez Maradiaga earlier to some of the marchers. They were participating at a meeting organised by German Catholic development agency Misereor and Catholic development network CIDSE. The demonstration hoped to influence negotiators inside the conference centre who are struggling to find common ground on extending the Kyoto Protocol, which has binding targets on cutting emissions. Later in the day, Cardinal Rodriguez met with the Mexican government negotiating team. This time last year climate talks received a much needed shot in the arm at UNFCCC talks in Cancun when governments agreed to a climate fund and to keep global temperature below 2°C. Even if temperature rises remain at that level, and its a big if, crop yields will be drastically reduced, livestock will die on a massive level in some countries, farmers will lose their livelihoods and food prices will rise affecting the poor the greatest. This was the message at a side event sponsored by Caritas South Africa, the Protestant network ACT Alliance and the Ecumenical Advocacy Alliance. 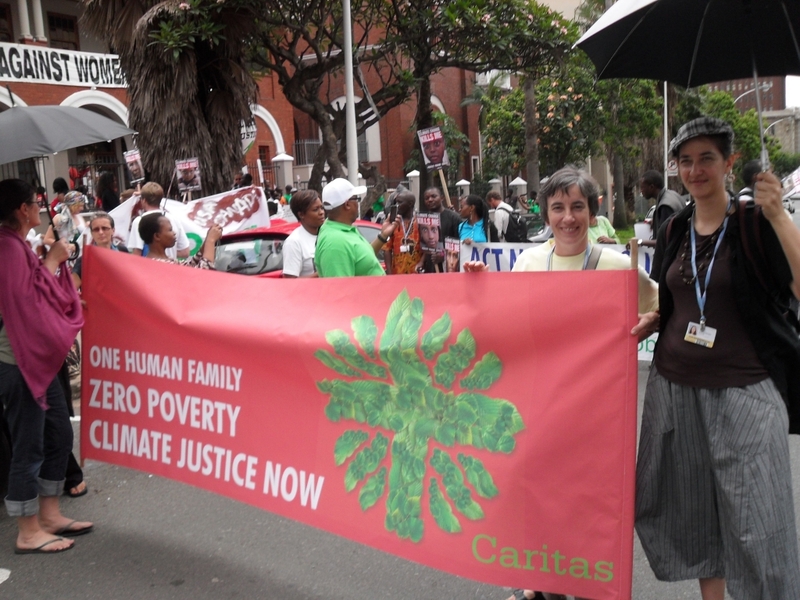 Caritas representatives at the civil society climate rally. The event was titled ‘How to end hunger in a world hit by climate change” and the conclusion was to invest in small farmers and a shift from carbon-intensive industrial farming to farming that takes into concern the environment, biodiversity and the social needs of the local population. “We already know agriculture is being affected,” said Dr George Wamukoya, climate negotiator for the Common Market for Eastern and Southern Africa (COMESA). 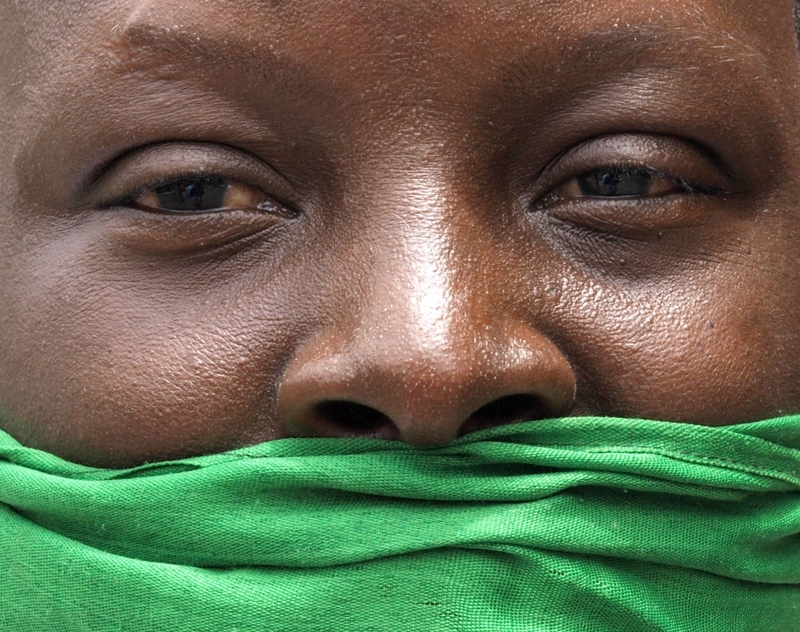 “But at the UNFCCC, we have to have more workshops to discuss this. That’s nice but you can’t eat workshops.” He urged civil society to engage with the UN process to ensure that their agriculture concerns were highlighted at the UNFCCC. More food for thought for government negotiators who have a week to come up with a deal on how to save the planet.